View the threads lakelivingros has started. Leave feedback for lakelivingros or read feedback left by other members. View the member feedback lakelivingros has written of others. 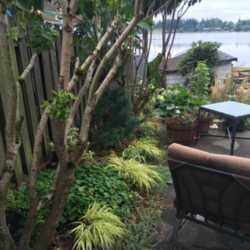 "My upper patio looking toward the water past my garden shed."